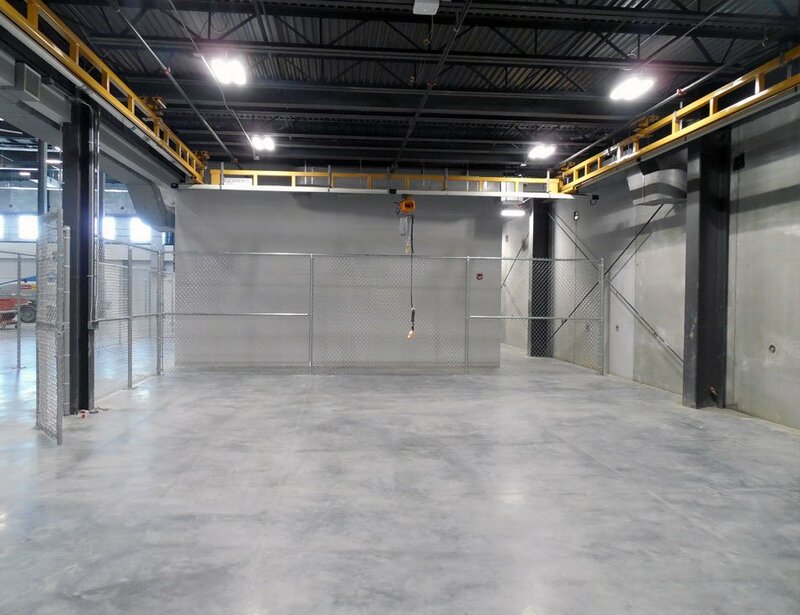 Free Standing Cranes & Workstations…We Have You Covered There Too. 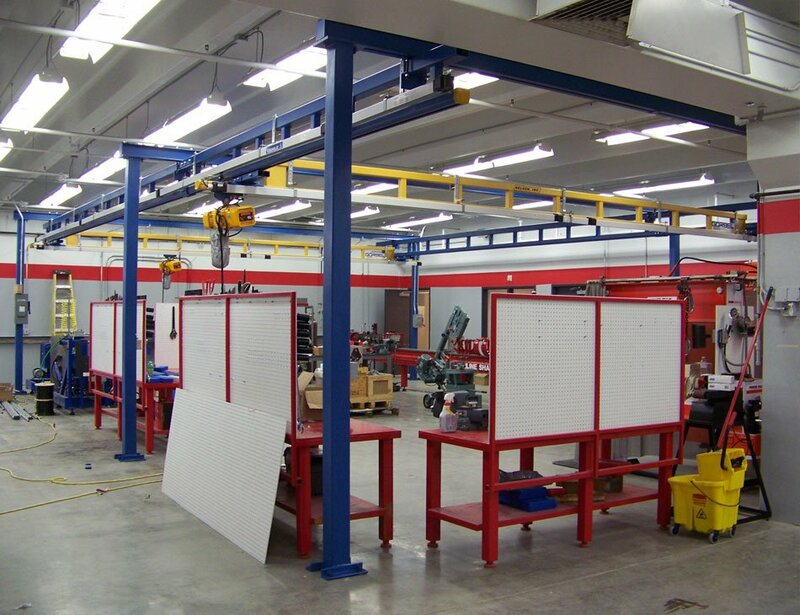 Why Choose A Free Standing Crane or Workstation? Need a Bridge Crane but your building wasn’t designed for one? Maybe a Free Standing System would just fit your need. These may be designed to minimize the need for foundations given that you have adequate concrete floor conditions. Yes, details have to be determined but, “a nice new system is better than no system at all.” Give us a call, so we can help! For the lighter capacity needs, consider a Workstation “Productivity” System. They may be Free Standing or Ceiling (building) Mounted. Ceiling Mounted is based of course on the needed support capacity being available. The Track and Bridges are an enclosed track design with End Trucks and Trolleys running on sealed bearings. Dirt doesn’t accumulate in the tracks and the bearings make for minimal rolling friction. Usually manual (push) travel coupled with our powered Hoists. Excellent application for our two-speed Hoists. Here again, give us a call or email! Generally speaking, Workstations may be more commonly referred to as Productivity Cranes. Movement can be about a fast as the Operator desires. No waiting, simply move – move – move. Lift Up to 4,000 lbs. © 2019 . Nelson Inc.